Silica sand is quartz that over time, through the work of water and wind, has been broken down into tiny granules. Commercial silica sand is widely used as a proppant by companies involved in oil and natural gas recovery in conventional and unconventional resource plays. The resource is also used in industrial processing to make everyday items such as glass, construction materials, personal care products, electronics and even renewable materials. Silica is the name given to a group of minerals composed solely of silicon and oxygen. Found most commonly in the crystalline state, it also occurs in an amorphous form resulting from weathering or plankton fossilisation. Silica sand deposits are most commonly surface-mined in open pit operations, but dredging and underground mining are also employed. Extracted ore undergoes considerable processing to increase the silica content by reducing impurities. It is then dried and sized to produce the optimum particle size distribution for the intended application. For industrial and manufacturing applications, deposits of silica-yielding products of at least 95% SiO2 are preferred. Silica is hard and chemically inert and has a high melting point, attributable to the strength of the bonds between the atoms. These are prized qualities in applications like foundries and filtration systems. 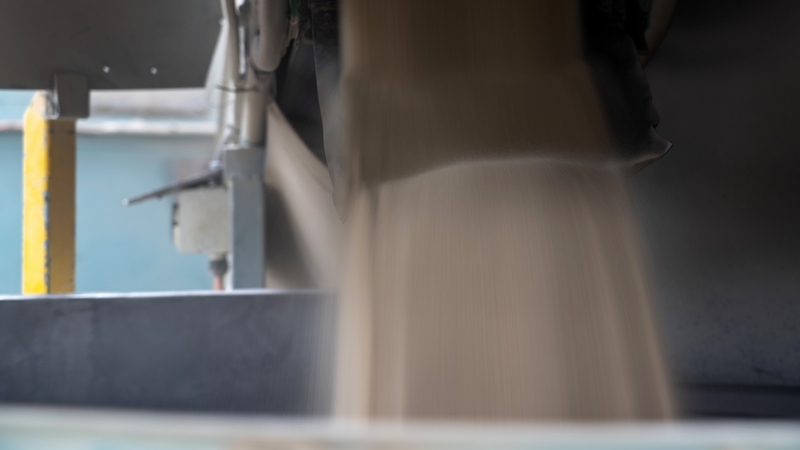 Industrial sand’s strength, silicon dioxide contribution and non-reactive properties make it an indispensable ingredient in the production of thousands of everyday products.